This one-of-a-kind sacred, transformational experience is infused with high vibrational healing and personalized guidance and insight. 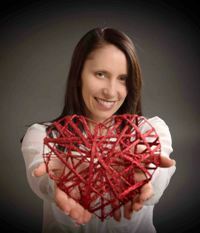 ♥ Sue will guide you into a sacred space, filled with high vibration and infused healing energy. ♥ You will be safely held, so that you experience deep trust to allow you and Sue to quickly shift energy and go deep in a short period of time, to reach levels that previously have been beyond your conscious perception. ♥ Bypass any mental blocks, belief patterns or resistance to reveal and heal the hidden roots - and clear long-held blocks while unraveling and healing even complex layers and patterns easily and quickly. ♥ Sue will guide you through extremely vulnerable and emotionally sensitive traumas with love, tenderness, grace and speed and at the same provide a powerful healing - so you heal painful layers in a less painful way. ♥ Sue's healing gift is multilayered and multidimensional as she effortlessly creates a bridge between the physical and the non-physical. ♥ In addition to the felt experience in the moment, Sue also provides you with specific insights so you have a core understanding, which makes results sustainable. 1. You must feel a heart YES to work with me and I must feel a heart YES to work with you. Tune into your heart and ask to be shown. You will know if we are meant to work together. 2. I will not tell you what you WANT to hear but I promise to tell you what you NEED to hear. 3. This work is very deep. If you are willing and ready to heal deeply then I invite you to reach out to work with me. I am grateful to be able to use my gift to be of service to others. I am honoured to be witness to the miracle of healing every day. You don’t need to believe or understand how energy healing works you simply need to be willing to explore and open your heart and mind to receive fully. Whether you have a question about your health, a relationship, your career, wish to communicate with a loved one who passed, receive a message from your Spirit Baby, need a soul retrieval session, or you are feeling blocked or stuck on your fertility journey Sue can help you. These sessions are powerfully transformative as Sue is gifted at creating a safe space for exploration and deep healing. If something resonates deep within your heart then we invite you to book a session. Sue uses a "Guiding Scale" (instead of a sliding scale) for her private healing experiences. If you feel it in your heart to invest an amount less than $300 contact us and Sue can tune in around the amount with you. If you know in your heart that you are meant to work with Sue and money feels like a block to you contact us we can help direct you. The sessions are generally 60 minutes and are done by distance through phone or skype without video. Make sure you choose a quiet space free from distractions. It is ideal if you are able to lay down for the session. Looking for a way to work with Sue on an ongoing basis? As a Heart Led Living member you will receive access to Sue as your coach and healer every week on our live weekly calls. To learn more about becoming a member click here.